Congoleum DuraCeramic continues to be the best selling groutable luxury vinyl tile on the market. It is a great alternative to hard, cold, and high maintenance ceramic tile. I monitor several DIY and installation related flooring forums and chat rooms to keep abreast of consumer problems and complaints about different types of flooring. The most common complaints I read about DuraCeramic tile is installation related and mainly about cracking grout. This is usually caused by not enough grout and is easily corrected. For installation, it is essential only the correct adhesive and grout are used. Another complaint I see here and there are the ones of damage caused by dropping heavy objects or dragging heavy furniture accross the surface. To this I say, not even a concrete driveway is damage proof if precautions are not taken. I have DuraCeramic tile in my kitchen, breakfast room, and laundry room. It has been down about 2 1/2 years. I have a dent by my cooking island caused by dropping a crock pot. Did I get mad at Congoleum? No, I was mad at myself for being clumsy. I also had some grout related problems right after installation which have been corrected. Did I get mad at Congoleum? No, I was mad at the installer for not following instructions. I also had a water issue in the laundry room that caused no damage. 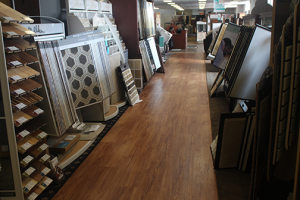 We sell about 50,000 flooring products on a yearly basis and Congoleum’s DuraCeramic Luxury Vinyl Tile has the fewest complaints of any product we sell. 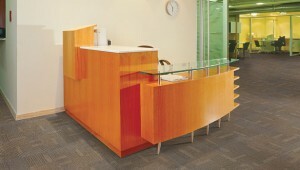 Consumers must remember that no floor, or any other product for that matter, is indestructible. I am proud to offer DuraCeramic tile to our customers that are considering this type of floor. 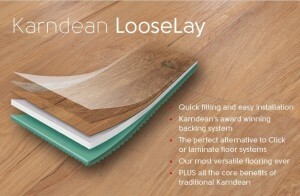 So buy with confidence that your new floor will look great and be serviceable for years to come. thanks for your post. I am getting ready to remodel and had almost talked myself out of the DC product. I've read reports of stains and scratches. Will pet claws be too hard on the product? Jerry, Thank you for your information. I have installed ceramic tile before in several areas and am quite confident in that process. As far as difficulty goes, how does this compare for installation? Also, I too, am wondering about pet claws and the durability. And, is leveling of the floor required prior to installation? 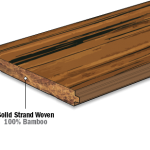 I ask because I’ve seen other types of flooring options where the floor can be laid directly ontop the existing flooring. I’m considering this flooring for a kitchen and adjoining powder room & laundry area. How durable is this product for potentially wet areas? We have had DuraCeramic in our big room for almost two years. We also have five dogs and have not noticed any damage to it by their claws. We are very pleased with it. I only wish I could find a safe way to clean it. They say not to use anything with rotating brushes so that limits many means of cleaning. If anyone has any suggestions we would really appreciate it.